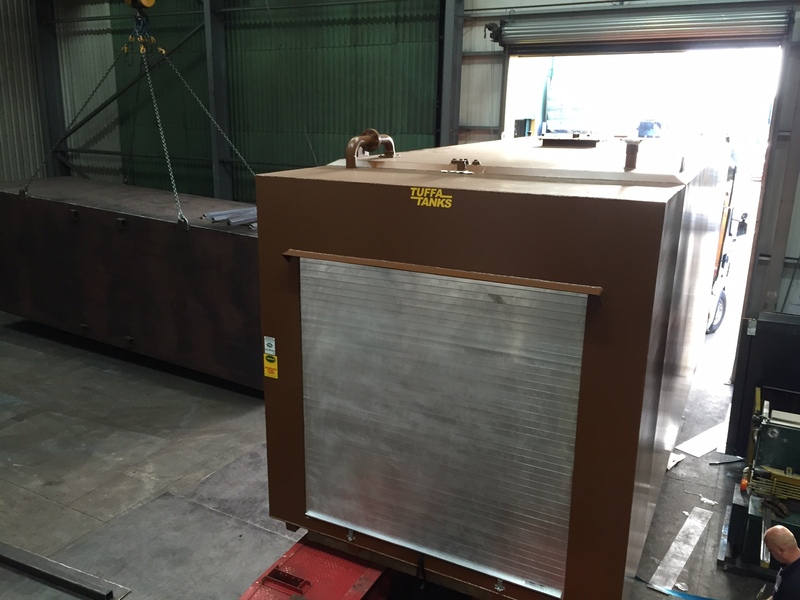 This 45000SBFS bunded steel tank measured up at a huge 7m long x 3m wide x 3m high and was manufactured using a high quality 6mm mild steel plate welded together by our in-house team of skilled welders here at Tuffa UK. Our client specified a “Saddle Brown” colour for the finish, and full width walk-in cabinet complete with security roller shutter door to contain the personalised equipment that they required. The tank was dispatched to the end user on an articulated vehicle suitable for the job, complete with an off-load facility; both Tuffa are more than happy to facilitate. The end user being a high profile construction company requiring bulk diesel storage for filling vehicles.